The world of marketing has changed drastically with the addition of new technologies, which has changed how people interact with companies. Most organizations’ biggest concern is how to best match which customer gets which offer through which channel. These new methods of reaching your target audience are extremely important especially since competition has become more aggressive. 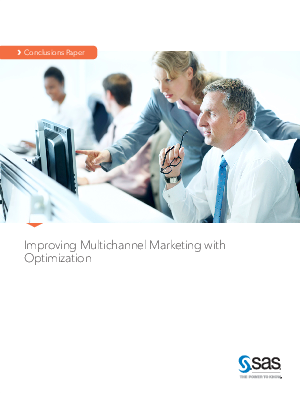 Download this whitepaper to learn the importance of optimizing your multichannel marketing and see the seven steps that can take you there.